At any given time I want my skin to look as flawless as possible – now that it’s sunnier (with less forgiving light) I am leaning more towards a fresh-faced base twist with a lighter foundation, creamier blushes and lots of radiance. 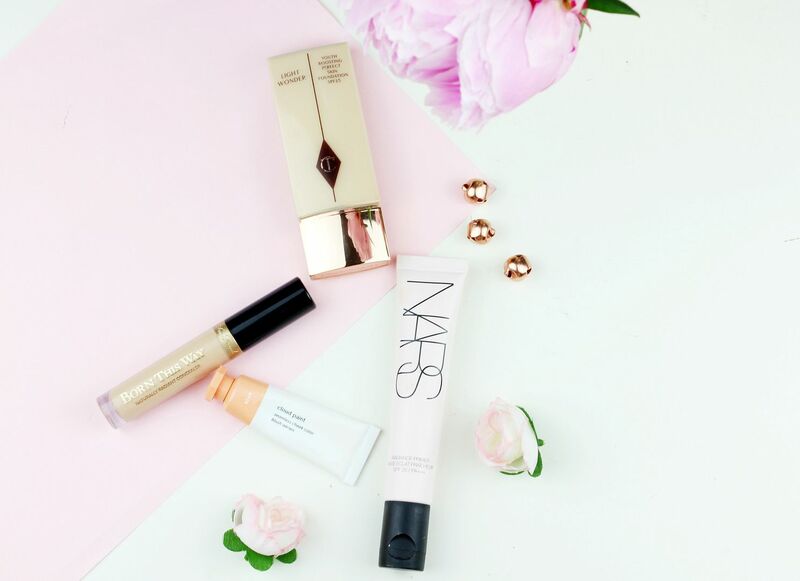 Adding loads and loads of (artificial) radiance to the skin is the fastest way to looking fresh, and the Nars radiance primer is one of my favourites – I just apply a thick layer all over the skin and the complexion instantly looks more luminous. On top of that, the Light Wonder foundation is my top picks for something with some dewiness and it blends so seamlessly into the skin that it looks almost undetectable. Under the eyes, a light-diffusing concealer is the secret to looking fresh and awake. I’m pretty loyal to my Clarins for disguising shadows under the eyes, but the Too Faced born this way is a good pick for adding a lot of luminosity to the skin and for blending down onto the face as well. It’s a lovely lightweight pick as well, so it goes nicely with a minimalistic makeup look. I always reach for a cream blush when I want something super fresh faced and dewy – at the moment I’m obsessed with the Glossier cloud paint in Beam, which is more of a liquid but it leaves the same sheen on the skin. A little dot is super pigmented so it’s one of those ones I have to rein myself in before I end up looking brightly flushed. When used sparingly, the blush blends in best using just the warmth of the fingers and it’s impossible to look dry or flat. Do you have any fresh-faced favourites?